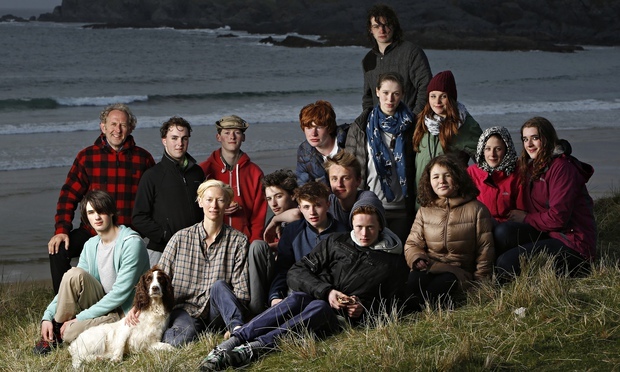 17 students on their school trip to Colonsay, with head teacher Krzysztof Zajaczkowski (far left). When Tilda Swinton’s twins reached 14, she wanted them to continue their Steiner schooling without the stress of tests. So two years ago she helped found a new school. 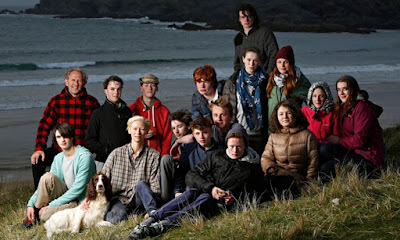 Aaron Hicklin meets the students and joins them on their annual trip to Colonsay. Late last year, Drumduan Upper School received its first government inspection. In an era of merciless performance targets and obsessive testing, any school administrator would naturally feel apprehensive. Drumduan’s head teacher, Krzysztof Zajaczkowski, a working-class son of Polish immigrants who has an instinctive distrust of authority, expected to be shut down. He had not forgotten his last school inspection, 10 years earlier, which he compares to a visit from the Gestapo, and he worried that Drumduan’s radical ideals – no exams, no tests, no hierarchies, no sitting at desks whenever possible – would count against the school.